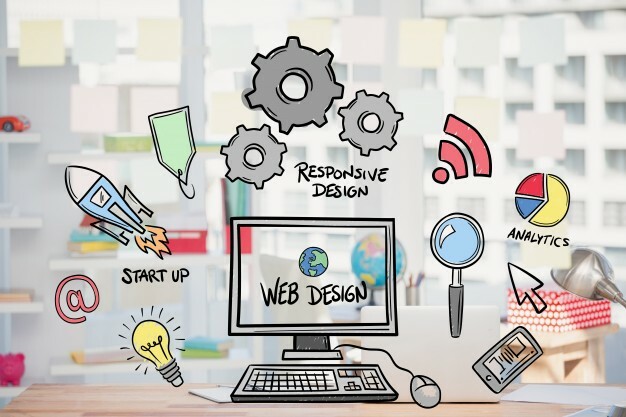 Web Design Company and Web Development Company are virtually interchangeable nowadays but when it comes to technical definitions, web design and web development are different. The truth is that the two terms has fundamentally different aspects in reference of website building process as these both require two unique skill sets. It is important to know the difference for someone who look for design and development their company’s website? Web design is how your website looks. Web development is how your website is built. Web design is the visual representation of sites usually created in some type of graphics software (Photoshop, Sketch, etc.). Web design is primarily a focus on what a site should look like and contain, and less about how to make it happen, i.e. coding or programming. Through the use of color, images, layout, designers bring a digital experience to life. The styles, header, footer, and colors used on the homepage should be the same throughout the whole site. There are cases where certain elements or styles weren’t used on the homepage. In that case, a subpage design is necessary to ensure web developers know exactly what to build. Good web design makes good user interactions, user experiences, and best practices easy. If web design is planning for these things, the development of the site will be better. Balance – It’s important for web designers to create a balanced layout and to ensure that all the important elements are aligned in rhythm to attract the human eye, and also make sure that they will yield the necessary output. Contrast – Color scheme and contrast must be well thought of and should be able to create visual harmony. It is always better to choose contrasting colors for the background and written content so that it can be easily read. Choose a darker text color and a lighter background shade so that the result is easy to the eyes. Designers look at contrasting sizes, textures and shapes to define and draw attention to certain sections of the website. Emphasis – Emphasis is highlighting of certain important elements of the website layout. But do not highlight everything as if you highlight everything on the page you end up highlighting nothing. Focusing users’ attention to specific areas of the site with a moderate use of visual elements can help visitors to get from one point to another without thinking of how it actually is supposed to be done. Imagine a page in a book where 80% of the content is highlighted in yellow…does anything really stand out? Front-end web development focuses on the display of information. 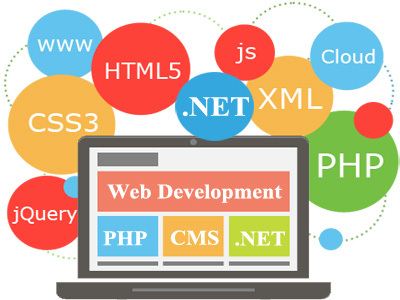 Back-end web development focuses on managing information. The front- end and back-end should work together to create great user interactions and user experiences. Through web development a static layout can be converted into a dynamic website by using image and content sliders, buttons, and other interactive elements. Web design and web development are closely related, but they aren’t the same thing. Designers can benefit from knowing some very basic development techniques and developers can enhance their own performance with some basic design education. But ultimately the roles are distinct and there aren’t many people who offer both services in one package. iNFOTYKE is a web design and development company in Delhi-Gurgaon having people specialising in both the areas, so we can provide full-cycle services: website design and website development (both back-end and front-end). By providing an all-in-one package, we will be able to serve our clients better as we know, happy clients are the key to business. Do you agree that design and development are two different things? Are there other differences we neglected to mention? Let us know in the Comments section below.